VW T-Roc Compact Crossover concept | 2014 Geneva Motor Show will be festive with the debut of the latest cars from various brands of vehicles. 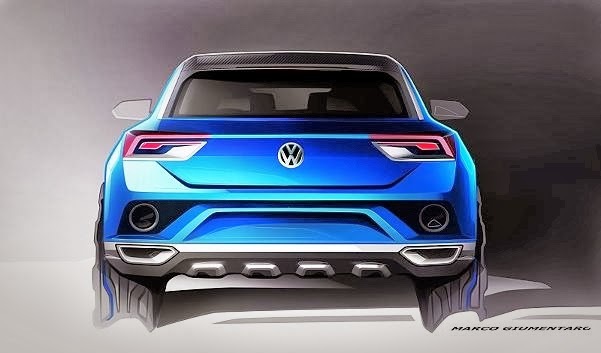 Volkswagen will show new Compact Crossover concept called VW T-Roc. German car manufacturer is going to bring the T-Roc concept in Switzerland with a unique and futuristic design tradition of Volkswagen vehicles. VW T-Roc Specs with body size is almost the same as the VW Golf, who has a dimension of 4.179mm long, 1.831mm wide and 1.501mm tall. T-Roc which weighs 3142 pounds (1,425 kg). T-Roc concept using 19 inch alloy wheels. 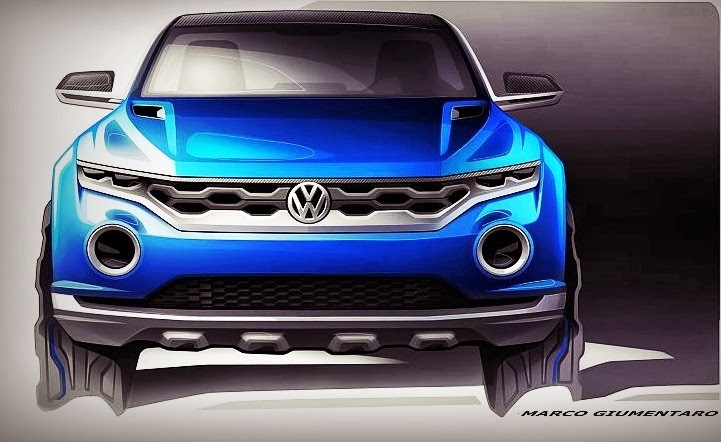 Volkswagen T-Roc Concept four-seater, two doors, two LED headlight on the front with a charming grille trim, look more ferocious. On the back, other than to the reverse light and rear fog lights, there is a surveillance camera on the rear of the car (looks like a muffler). VW T-Roc using the 2.0-liter TDI engine can produce maximum power reaches 185HP and peak torque of 380Nm. Acceleration VW T-Roc capable of accelerating from 0-62 mph (100km/jam) in 6.9 seconds, T-Roc top speed of 130.5 Miles/hour (210 km/h). 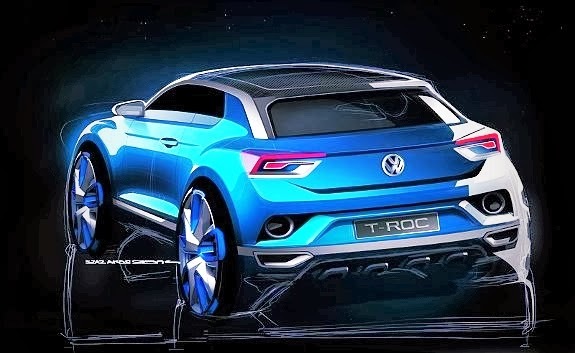 "Article : VW T-Roc Compact Crossover concept: 2014 Geneva Motor Show"